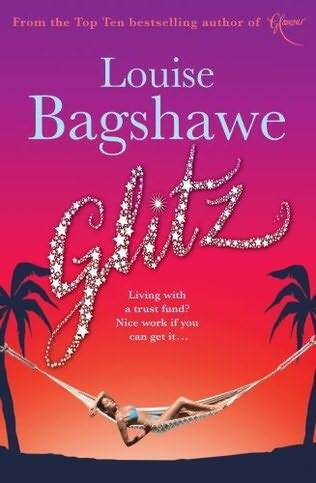 Glitz by Louise Bagshawe (my book review) | Cafe Arjun - 15 times WordPress Top Blog! I’ve kind of got into reading “chicklits” lately. I think that it’s because they provide an escape into a happier, hip world where everything always turns out great in the end and you join the characters in their happy moments and the things you learn as they get through their woes. This was the first book I had read by Louise Bagshaw, having just finished the two books by Lauren Weisberger that she wrote after The Devil Wears Prada. First Everyone Worth Knowing and Chasing Harry Winston. Glitz had me interested in the story all the way through – the actual plot that is and how it would end was what kept me reading really. It’s a thick book at 535 pages and I was not that impressed by the way it was written. I found it bitty, the story jumped through the time line in an unsatisfactory manner. One bit that confused me was that the girls went to the Seychelles to see Uncle Clement a couple of weeks after having returned from there after Christmas. I haven’t read back through but it read like they came back and a number of weeks had passed but then Bai Ling came at the beginning of February. On the time between Bai Ling arriving and the end of the book I felt the reader was forced to delve in and out of key moments in a way that an experienced writer would not make them do – the story did not flow through. The beginning of the book was quite long but when it got to the juicy bits, there could have been more detail. For example – other than the first dinner party there was no description of what Bai-Ling was up to for much of the book until there were a couple of sentences towards the end about how the Chambers girls had been taking it in turns to entertain her. It sounds a little implausible that Bai-Ling spent months of the rest of teh time sitting in her hotel suite when the purpose of her visit to England was to coach her to join society. Then there was the detail of the girls’ careers. I would have loved to read about how they developed in more detail but they seemed to get off to a flying start and become e successful with no problems at all – may be that is how it is when you are rich. I loved the rich descriptions in the book. For every scene you knew exactly what the girls were wearing and from which designer: Chanel, Choo, LK Bennett, Dior – it was all there. the dresses, suits and shoes described in beautiful details. here was a lot of suit wearing going on though, which seemed quite old-fashioned to me. Although, the girls did turn out to be past their mid-thirties, which came as a surprise to me. I loved the lifestyles that were portrayed – the beautiful homes and the way the girls moved around them and used them. You were right there with them looking at the rooms and the clothes. That’s the real reason I read these things = the escapism in these girly novels. I think I’ll try another one of her books. They all have quite enticing titles. I think may be Career Girls is next. I don’t tend to read chicklits about married life and the such – I guess I am not at that stage of life. Am on the look out for another writer who offers engrossing novels without the tribulations of juggling babies in it. Any ideas? ← Duchess of Birmingshire or Dutchess of Birminghamshire? Patricia Place passes away.